&amp;amp;amp;amp;amp;amp;amp;amp;amp;amp;amp;amp;amp;amp;amp;amp;amp;amp;amp;amp;amp;amp;amp;amp;amp;amp;amp;amp;amp;amp;amp;amp;amp;amp;amp;amp;amp;amp;amp;amp;lt;br /&amp;amp;amp;amp;amp;amp;amp;amp;amp;amp;amp;amp;amp;amp;amp;amp;amp;amp;amp;amp;amp;amp;amp;amp;amp;amp;amp;amp;amp;amp;amp;amp;amp;amp;amp;amp;amp;amp;amp;amp;gt; E.E. Ward Moving & Storage has the moving and packing tips you need for a successful move. Our wide range of tips and guides can assist you throughout the moving process and help to organize your relocation near Columbus. We are committed to providing stress-free and enjoyable moving experiences, which is why we equip you with the tools and resources needed to be best prepared for your upcoming relocation. The most important tip for moving to Grove City: Plan ahead! This will give you and the mover as many options as possible. Make sure your moving crew has a working phone number for you at all times. Pack a box containing items you will need immediately upon arrival at your new home – toilet paper, soap, light bulbs, paper towels, etc. Dressers will be moved with the drawers full – make sure you remove any breakables and/or valuables. 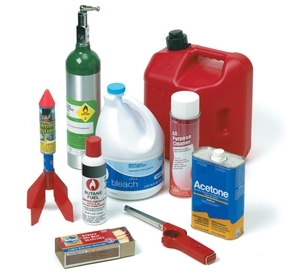 Dispose of flammables such as fireworks, cleaning fluids, matches, acids, chemistry sets, aerosol cans, ammunition, etc. Drain fuel from any lawnmowers and other machinery, and discard partly used cans of oil, paint, thinner or other substances that might leak. Carefully tape and place in individual waterproof bags any jars of liquid you plan to take with you. Refillable tanks must be purged and sealed by a local propane gas dealer. E.E. Ward Moving & Storage does not permit shipment of any propane tanks. Avoid waxing or oiling wooden antiques and fine wood furniture prior to moving because some products may soften the wood, making it vulnerable to imprinting from furniture pads. Think twice before dismantling your outside TV antennae or dish; a new one may cost less than moving the present one. Third-party servicing will likely be needed before moving such items as hot tubs, large-screen TVs and some exercise equipment. Contact us about PRE and POST move servicing of washer, dryer, refrigerator, dishwasher, grandfather clock, hot tubs, satellite dish, etc. APPLIANCES: Refrigerators, automatic washers, dryers, water softeners and other such appliances – ask your appliance dealer whether they will need servicing for the move. Small appliances should be placed in boxes. BEDDING, CUSHIONS & PILLOWS: Should be packed in boxes. BOOKS: Pack books in small, strong, securely taped boxes. DO NOT pack in dresser drawers! Remove loose shelves from bookcases. CHINA: Wrap china and all fragile items in newspaper or white newsprint and pack in strong barrels or dish pack containers. Stand plates on end. Pack heaviest items on the bottom. E.E. Ward has newsprint available for sale, if desired. DRAWERS: Dresser and chest drawers with clothing or soft items such as linens can remain in the drawers. However, they should not be overloaded. All breakable and spillable items should be removed and packed in cartons. FROZEN FOODS: The driver is not responsible for these items on long distance moves. However, on local moves, this will not be a problem, as long as your goods are being delivered the same day they were picked up. HOUSE PLANTS: It is best to move plants in your car. The driver is not responsible for plants. LINENS: Linens, curtains, blankets and wearing apparel are best placed in strong cases, cartons or trunks. Drapes can be hung in wardrobe cartons. MIRRORS & PICTURES: Mirrors, valuable pictures and ornamental table tops (marble and glass) should be padded, wrapped and placed in specially designed containers. The crew will remove such items and set back up again at destination. PAINTS & AEROSOL CANS: NOT to be packed or shipped. POTS & PANS: Pack kitchen utensils in barrels (dish packs). Stove drawers must be emptied. REFRIGERATORS: To help reduce those odors in your refrigerator during transit, place an open box of baking soda on a shelf or a secured bag of coffee grounds. RUGS: It is not necessary for you to remove your rugs from floors. The crew will take care of them. VALUABLES: Remove all valuables such as jewelry, legal documents, liquor, etc. Your mover cannot be responsible for such items. WALL FIXTURES & BRACKETS: Movers are not allowed to remove any items that are affixed to walls. If you choose to perform your own packing, remember light but bulky articles should be placed in large containers. Heavy items such as books and canned goods should go in small containers. Use cartons with tops so they can be taped. E.E. Ward has all packing materials available, if needed. Do not pack above the edge of the containers. They have to be placed one on top of the other inside the truck. Loaded cartons should not weight more than 50 pounds. Mark all cartons showing contents clearly and into which room they belong at destination. This will speed up unpacking. Separate items that are not to go in the truck and let the driver know. Mark: “DO NOT MOVE”BEFORE THE MOVE: Notify your post office, newspaper carrier, publishers, etc. Order your telephone, gas and electricity changed or disconnected. Transfer your fire/homeowners insurance. REMEMBER: Plan ahead! Make your arrangements as soon as possible. Working closely with your E.E. Ward Moving Representative is your first defense in keeping your move costs under control. Unexpected or inflated moving costs often result from a breakdown in communication between the customer and the moving company. Rushing through the initial “choosing a mover” process can be detrimental to the success of a move.It is extremely important that you take the time up front to talk to your sales representative about all of your moving needs and expectations so that both parties will be fully aware of the specific circumstances they will find on moving day.For example, if you have remodeled your house since moving in, some of the furniture that went in originally may not come out the same way, and may require additional labor or equipment. Similarly, if you have assembled furniture within your home since moving in, special considerations will need to be made to move it out. There are many other situations that can also lead to extra charges such as truck access issues due to low hanging branches or wires, steep inclines or sharp turns, delicate cement or driveway pavers, weather, parking limitations, etc. Many times there are steps that can be taken, if done ahead of the actual move date, that can save you time and money on your move.Some other ways to keep the cost of your relocation in check are:Take Inventory! The first way to save money on your move is to move less stuff!! Local moves are done on an hourly basis, so time is money. Did you know that it takes a crew about the same time to take that box of old magazines that you haven’t looked through in years to the truck as it takes to move the sofa you sit on every day? Take a look around – are there just a few things you could live without?Likewise, intrastate, interstate and international moves are charged based on weight and/or space – so lightening the load by either having a garage sale or donating to your favorite charity is the way to go!Picking The Right Date. Most moving companies have a sliding scale of prices that reflect supply and demand on a particular day. Generally, the summer months are the busiest. Saturdays and the beginning and end of each month are busy year-round. Monday through Thursday, in the middle weeks of the month, tend to be less busy and therefore less expensive. Flexibility with your move date or an overlap between when you need to be out of your old home and are able to get into your new home can both allow you to get the best value.Preparation. Doing your own packing can save you money. Your E.E. Ward representative can offer you plenty of literature outlining proper packing techniques, as well as sell you the paper, tape and sturdy boxes for all of your packing needs.In addition, disassembling and disconnecting items prior to the crews arrival can also save you money.Keep In Contact! Did you know that if your driver can not locate you in order to confirm and coordinate your actual delivery date and time that your items may end up being put in storage until you can be located, costing you additional money? Always keep in contact with your relocation coordinator to ensure prompt and efficient service. Need more advice? Contact your E.E. Ward relocation representative today! Keep your home phone number connected, it is important that we are able to keep in touch with you during the course of your relocation.Plan to be at home and make yourself available to the movers the entire day of packing, if possible. Packing times vary depending on the amount of packing that is required for your move.For the comfort of the children, it is often helpful to have them stay with friends or relatives during the relocation process.Have your refrigerator emptied and defrosted prior to loading day. Pack day is the perfect day to accomplish this!If the packers are to pack high value items, such as silver, works of art, furs, etc., ask the packers to call you to view the packing of these particular items. Please do not leave items such as money, jewelry, coin collections, etc. to be packed by the packers. These items should be transported by you. E.E. Ward does not accept responsibility for these items, and ask that they are not among the items to be packed.Segregate items to be carried in your car and items you will need until after the loading process has been complete so that the packers do not pack them in error. This would include any prescription medication, documents needed for closing at destination, and any other important paperwork you will need during the course of your relocation.The packers will not pack any perishable food items, flammables, aerosols or corrosive liquids. This includes house paint, cleaners, fire extinguishers, etc. Please make other arrangements for the transportation of these items, should you decide to take them with you. You’ve made it through the planning and packing, now it’s time for the real work – loading and delivering your goods safely to your new home! It is important that you make yourself available for the entire day on both your scheduled load and delivery day. 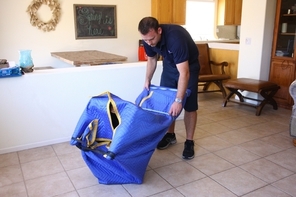 While your driver and their helpers will do the actual physical labor, your assistance will be required during several aspects of these days.Loading Day Prior to placing your household effects on to the moving van, your driver will prepare a detailed Inventory and Condition Report of the items you are moving. Every item in your shipment, whether it’s an individual carton or piece of furniture, will be inventoried with numbered and color-coded labels. Your driver will also ask you to sign the inventory, as your acknowledgment that the pieces indicated were loaded and as verification of their condition prior to moving. The driver will also sign the form and will present you with a copy. Be sure to keep this inventory with you for use at your new home.The driver will also require your signature on the bill of lading. This is the contract by which you authorize us to transport your possessions and agree to pay for those moving services. The bill of lading serves to confirm the moving services performed, pickup and delivery schedules, and the valuation and protection plan that you’ve selected.If you cannot be present at the time of loading, you’ll need to arrange for a responsible person to act as your agent in signing both the bill of lading and the inventory list. Make sure you’ve provided both your driver and your relocation coordinator with phone numbers where you can be contacted during transit to your new residence. This will make scheduling delivery easier for everyone involved!Delivery Day Your driver will be in contact with you a minimum of 24 hours prior to the expected arrival time to confirm actual delivery arrangements. When your shipment arrives, you can help expedite the unloading process by making sure the crew has clear access to the home and by having a room-by-room floor plan in mind. As items are unloaded you can let the driver and movers know where you want things placed in your home.You should check items off the Customer Check-Off Sheet as they’re brought in, noting their condition. 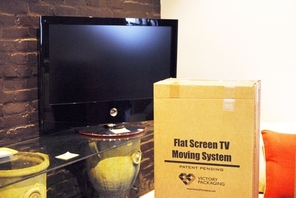 If an item appears to have been damaged during transport, or is missing, immediately make a note of this on the inventory including the driver’s copies and notify your move coordinator.The driver and moving crew will also reassemble any items at this time that they may have disassembled at origin. Minimal unpacking (mattresses) is typically done at this time as well. Unpacking means taking the items out of their shipping boxes and placing them on the nearest flat surface, it does not mean putting them away. If you require unpack and put away service, please let your relocation coordinator know prior to delivery so arrangements can be made. Extra charges do apply. Plan to leave all utilities on until the day following the loading of your household goods. Having a phone that is working is invaluable, as communication is key during any relocation. Make yourself available the entire day of loading.Check the inventory to see that you agree with the notations made by the driver as to the present condition of your furniture. If there is a discrepancy, please make a note of it on the same inventory sheet. Items of extraordinary value that are being shipped by the movers, such as antiques, works of art, etc., should be noted separately on the inventory, along with their value.Walk through the house, garage, cellar, attic, backyard and any storage areas around the home to make sure nothing was missed by the movers. Check all drawers, cabinets and closets in all rooms for articles that may have been missed during the packing or loading process.Make travel arrangements for departure on the day after your loading. On the day of loading, make sure the driver and E.E. Ward are aware of how to reach you en-route and at destination. To assure that everything that was loaded at origin is delivered at destination, you must check off the inventory yourself. Ask that the driver and helper call off to you the inventory numbers on each box and piece of furniture, and mark them off on the inventory as called.Check the condition of each piece as closely as possible upon delivery to your home. Make a note of any exceptions to the condition of your household goods on the inventories upon delivery. There is a column on the inventories especially for your exceptions. Boxes that contain items of high value, such as silver, works of art, etc., should be unpacked immediately and checked for concealed damage.The driver is responsible for setting up the beds and reassembling any items that he disassembled at origin. This would not include hanging pictures or other permanent wall fixtures. If you wish to have everything unpacked, please let E.E. Ward know ahead of time so we can make the proper arrangements to have this accomplished.If E.E. Ward Moving & Storage does the unpacking, we will remove the debris (packing paper and boxes) from the residence. If you choose to do your own unpacking, debris removal is available, contact E.E. Ward Moving & Storage to set up a pick up date and time, after you have completed your unpacking. Note: Unpacking service means removing items from the box, placing them on the nearest flat surface and removal of the debris. It does not mean putting items away in cupboards, drawers, etc.Before the driver leaves, make sure you have noted on the inventories the condition of your household goods and any missing items. In the event you should have any missing or damaged items, please call E.E. Ward Moving & Storage as soon as possible and we will mail the necessary claim forms to you, and start a trace on the missing items. Upon receipt of these forms, complete them as soon as possible and return them in the enclosed self-addressed, stamped envelope. The following tips often help children adjust before, during and after a family relocates. Include the children in making plans for the move. For example, take them house-hunting with you. Help your children learn about the new area. Allow children to decorate a “special box” where they can place/pack items that belong to them. Encourage children to exchange addresses and phone numbers with their friends. Prepare a package for each child containing snacks, some clothing and a few favorite toys for the move. Follow progress in new schools. Accompanying your children to school the first few days may ease tension. If your move involves suburban to rural, or vice versa, caution children about new situations they will face. In Fahrenheit, temperatures below 35 or above 95 for more than an hour can kill many plants. Most house plants can survive for seven to 10 days without water with little harm, but they should be moist when placed in cartons. House plants can tolerate darkness for up to a week, if other conditions are favorable. When first exposing plants to light after prolonged darkness, do so gradually to avoid wilting and sun scald. For convenience and space saving, you can take cuttings of your favorite plant (if possible). Most cuttings can survive for several days if kept in a plastic bag containing damp vermiculite, peat moss or perlite. Air Conditioners: Consult your authorized dealer or service man on your particular model. Some sealed units should be bolted down.Dryers (electric or gas): Check with your service man. Motors may need to be checked and secured.Freezers: These appliances must be completely defrosted one or two days prior to moving. They should be dried and aired to avoid musty odor. Safety of contents cannot be guaranteed, so it is best to empty your freezer and plan a meal that will use up perishable contents. Check with your service man to be sure the motor is bolted, if necessary.Refrigerators: Defrost and thoroughly dry your refrigerator before moving. This is very important. The doors should be left open several hours to air after defrosting. All pans, trays, crispers, shelves or removable parts should be removed and wrapped individually. Have your refrigerator serviced. The motor may have to be bolted down before moving. Do not plug it in at the new home until it has been unbolted.Sewing Machines: These do not need special servicing for local moving. For long distance, the driver should stuff paper in and around the machine and place paper between the lid and base to prevent rubbing.Stoves: Stoves must be disconnected prior to pickup. Be sure gas lines are shut tightly and capped. For electric ranges, removable coils (and all other removable parts) must be packed separately.Television Sets: Some TV sets require that they be checked before moving. Some color TVs must be serviced both before and after moving. Television antennas should be removed from roof tops and disassembled (if necessary).Washers: Washers must be serviced by an authorized service man. Motors should be checked and secured, tumbler action protected and fastened in place. Remember to remove all CDs from your player before packing. Make sure all CDs are back in their cases. If you don’t have the owner’s manual, draw a diagram of the wiring PRIOR TO disconnection. Some CD players have a transport screw under the unit. Tighten it before packing. Remove any stacker or multi-play cartridges prior to packing and wrap individually. The best way to move your CD player is in the original box with the original packing. In the event that you do not have the original box and/or packing, use a box big enough to cover the entire unit with enough room for packing material. The packing material should snugly fill the excess room in the box so that the unit will not move around. Plastic bubble sheets make an ideal packing material. Try to stay away from using newspaper. Seal the box with reliable packing tape. E.E. Ward Moving & Storage can provide you with packing containers and materials if needed. If you have a remote control, be sure to wrap it separately, but pack it in the same box with your CD player. All wiring should also go in the box with the CD player. ACCESSORIAL (ADDITIONAL) SERVICES – services such as packing, appliance servicing, unpacking, or piano stair carries that you request to be performed (or are necessary because of landlord requirements or other special circumstances). Charges for these services are in addition to the transportation charges.ADVANCED CHARGES – charges for services not performed by the mover but instead by a professional, craftsman or other third party at your request. The charges for these services are paid for by the mover and added to your bill of lading charges.AGENT – a local moving company authorized to act on behalf of a larger, national company.APPLIANCE SERVICE – preparation of major electrical appliances to make them safe for shipment.BILL OF LADING – the receipt for your goods and the contract for their transportation. It is your responsibility to understand the bill of lading before you sign it. If you do not agree with something on the bill of lading, do not sign it until you are satisfied that it is correct. The bill of lading is an important document. Don’t lose or misplace your copy.BINDING / NON-BINDING ESTIMATE – a binding estimate is an agreement made in advance with the mover that guarantees the total cost of the move based on the quantities and services shown on the estimate. A non-binding estimate is the carrier’s approximation of the cost based on the estimated weight of the shipment and the accessorial services requested. A non-binding estimate is not binding on the carrier and the final charges will be based on the actual weight and tariff provisions in effect.CARRIER – the mover providing transportation of your household goods. C.O.D. – transportation for an individual shipper for which payment is required at the time of delivery at the destination residence (or warehouse).EXPEDITED SERVICE – an agreement with the mover to perform transportation by a set date in exchange for charges based on a higher minimum weight. FLIGHT CHARGE – an extra charge for carrying items up or down flights of stairs.GUARANTEED PICKUP AND DELIVERY SERVICE – an additional level of service whereby dates of service are guaranteed, with the mover proving reimbursement for delays. This premium service is often subject to minimum weight requirements.HIGH VALUE ARTICLE – items included in a shipment that are valued at more than $100 per pound.INVENTORY – the detailed descriptive list of your household goods showing the number and condition of each item.LINE HAUL CHARGES – charges for the vehicle transportation portion of your move. These charges apply in addition to the additional service charges.LONG CARRY – an added charge for carrying articles excessive distances between the mover’s vehicle and your residence.ORDER FOR SERVICE – the document authorizing the mover to transport your household goods.ORDER (BILL OF LADING) NUMBER – the number used to identify and track your shipment.PEAK SEASON RATES – higher linehaul charges that are applicable during the summer months.PICKUP AND DELIVERY CHARGES – separate transportation charges applicable for transporting your shipment between the SIT warehouse and your residence.SHUTTLE SERVICE – use of a smaller vehicle to provide service to residences that are not accessible to the mover’s normal, larger line haul equipment.STORAGE-IN-TRANSIT (SIT) – temporary warehouse storage of your shipment pending further transportation, for example, if your new home isn’t quite ready to occupy. You must specifically request SIT service, which may not exceed a total of 90 days of storage, and you will be responsible for the added charges for SIT service, as well as the warehouse handling and final delivery charges.TARIFF – the mover’s required, published price list of rules, regulations, rates and charges for the performance of interstate moving services.VALUATION – the degree of “worth” of the shipment. The valuation charge compensates the mover for assuming a greater degree of liability than that provided for in the base transportation charges.WAREHOUSE HANDLING – an additional charge applicable each time SIT service is provided. This charge compensates the mover for the physical placement and removal of items within the warehouse. Begin by Following a Timetable! Make sure you allow yourself enough time to pack properly for your move – this is not a time to rush! If you decide to do your own packing or partial packing, remember that the moving company is not liable for damage to the contents of boxes packed by the customer. However, if there is obvious exterior damage on packing up your goods, make a note on the inventory sheet of your shipment, these items may be covered under an exception to the rule. If you decide to do your own packing, get packing supplies and start collecting strong boxes suitable for moving. Complete all packing by moving day. You will be busy enough on moving day to have to worry about packing. Packing room by room will help you stay organized and will make unpacking easier on the other end. Establish work areas in each room. First, pack items you won’t need right away. Start with your less-used serving dishes, seasonal items, and small appliances. Next, tackle your large serving bowls, tablecloths and specialty pots and pans. Keep your everyday dishes for the last week before moving. You may even want to consider buying some disposable plates, cups and utensils for those last few nights when everything is packed away. Wait and pack things you’ll use right up to moving day last. Items such as articles stored in the basement, garage or attic are also ideal for packing first as garages and storage sheds typically take the longest to prepare for moving because they are often filled with odd-shaped, sharp or heavy items that require special care to pack correctly. We recommend starting by safely disposing of items that cannot be shipped, like pesticides, fertilizers, oil and gas – a complete list can be found in our list of Items That Cannot Be Shipped. As you move through your home packing and you complete each room, sort packed boxes by weight (light, medium, heavy). This makes loading the moving van easier and quicker. If you require more detailed information about how to pack, please ask your E.E. Ward representative for a copy of northAmerican’s Home to Home Better Move Planner as a guide, which is available for free just for asking!